In this project a wordpress plugin has been developed, in particular the plugin has to insert Google maps in a post or page. The plugin read from the database the list of shops and add a new location pin for each shop. The plugin has a back-end page to manage all the information. And you can find the shop near to you using the research option. 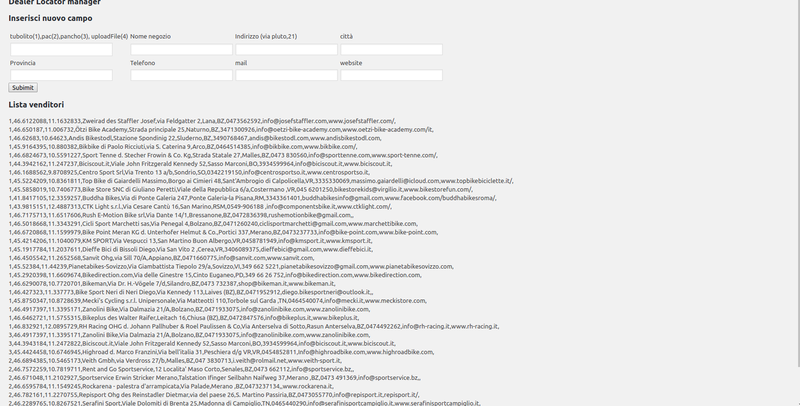 At the end, there is the back-end, where you can see the current location, and add if you want a new one.